Last week I modeled for a little project of my friend Luisa, who is studying at ESMOD in Paris. 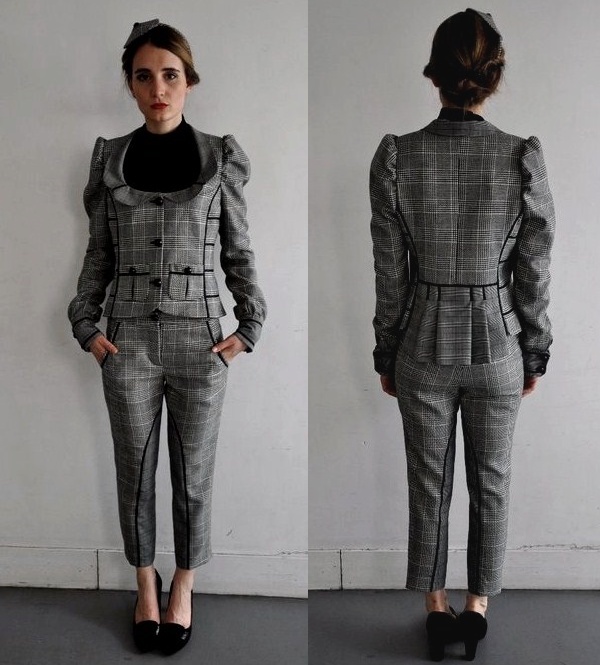 She created the cutest outfit ever, with a perfectly fitting tweed blazer, cropped pants and a little oh-so Parisian hat. Louisa drew her inspirations from men’s wear pieces, in particular the style of our all time favourite beau Chuck Bass. Apart from the heat (imagine tweed with 35 degress), I totally enjoyed every second of her project! Luisa really did an amazing job! !